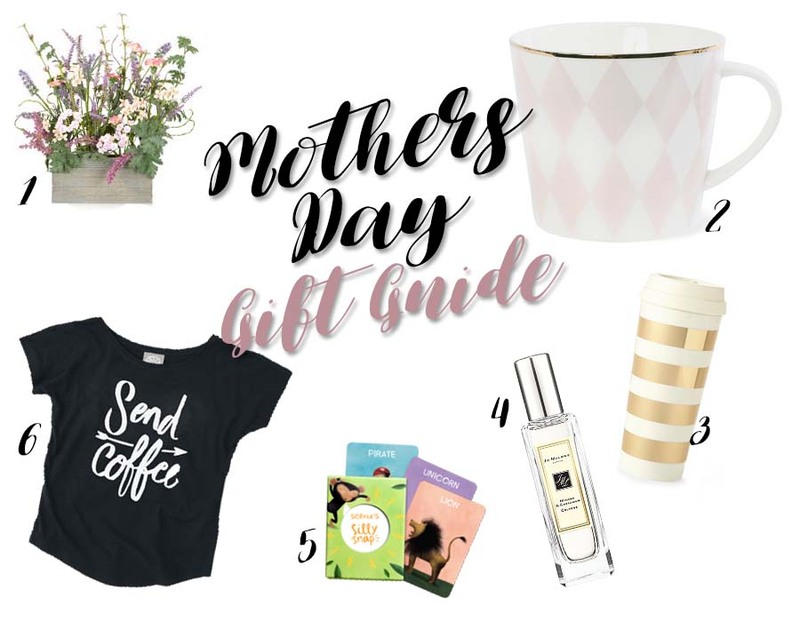 Mothers day is less than a week away, and as a parent blogger I couldn't miss the occasion without featuring a gift guide. I definitely think Mothers day shouldn't just be about mothers, it should be a day spent celebrating all the women in your family - as we know not everyone is lucky enough to still have their mothers with them, I have the exact same feeling towards fathers day also. I do really enjoy the build up to mothers day, especially given I am now back at work so will spend a lot of this week making cards with children, listening to their favourite things about their mummies, it's all very sweet. With my gift guide this year I've tried to incorporate a variety of gifts, for a variety of budgets and I do think there is something for everyone. As always though, it's the thought that counts and a simple card especially if it's made with love from tiny hands, is well enough for me. Just spending time with family is particularly important on Mothers and Fathers days, which is exactly what we shall be doing. 1. First up is this beautiful floral display from Next. It's artificial which for someone like me who almost always forgets to water plants, is a must. It's going to last all year long and it looks absolutely beautiful. It could brighten up any window, mantle piece or shelve. 2. I have never been more in love with a mug than this beauty . It's just divine, I shared it on Instagram a few weeks ago and instantly had a influx of messages of where it could be from. It's super reasonable and if I was gifted this on mothers day I would be one very pleased lady, especially as coffee is life. 3. Coffee on the go, yes yes yes. Absolutely essential for me now I'm back to work, and I'm sure it is for any other Mums who are non-stop. Not only is this Kate Spade beauty absolutely gorgeous, it is huge, and I really mean huge, it can easily hold two cups - what more can you ask for? 4. Jo Malone, enough is said there really isn't it? Probably for those with a bit of a higher budget as it is a slight splurge in my eyes. My favourite scent is the cardamom and mimosa, it's so fresh and perfect for this time of year. 5. These silly snap cards are fantastic, you can customise the cards to create your family and they are adorable. We played them with Noah and he was so excited to see himself on them, particularly since we have the story book that matches. They're a great game to play together on Mothers Day themselves and would make the perfect gift from your smalls, to Mum. 6. I'm not sure if I've ever seen a t-shirt more apt than this one from noths, the loose fit is ideal to cover up that mum tum and it's the perfect apology top for those dark circles. I've been trying to find something to get my wife "from our daughter", so gift guides like this are great! And I think she'd really like that floral display! I am a bit of a coffee addict so the travel cup and t-shirt would be great for me! I need that top at the moment!